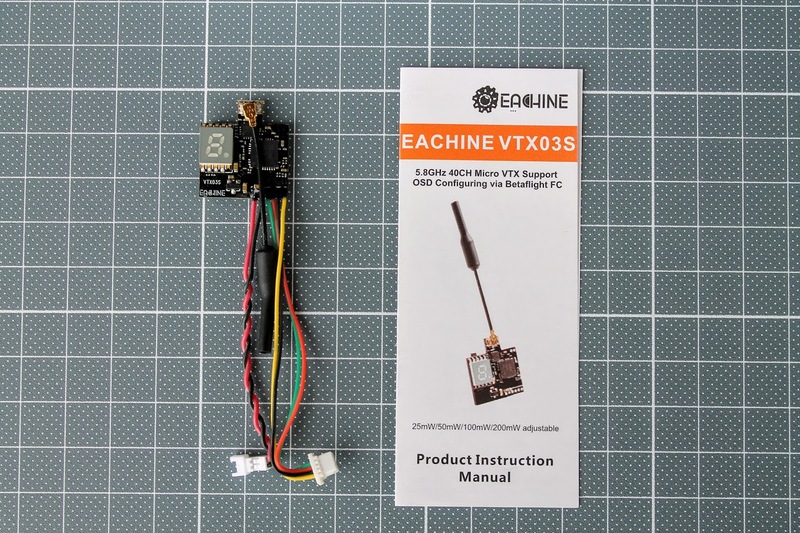 Eachine has released a whole range of micro video transmitters. First one was VTX01, then VTX02 followed by VTX03. 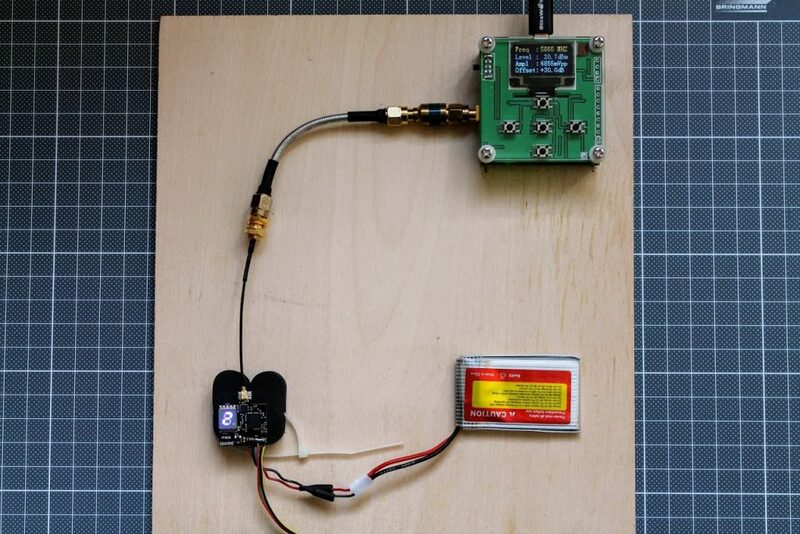 VTX01 has fixed output level at 25mW, VTX02 – fixed at 200mW while VTX03 has switchable power levels 0/25/50 and 200mW. Eachine has even released a version of VTX03 with audio-in feature for transmitting audio together with video feed – ATX03 (read ATX03 review here). 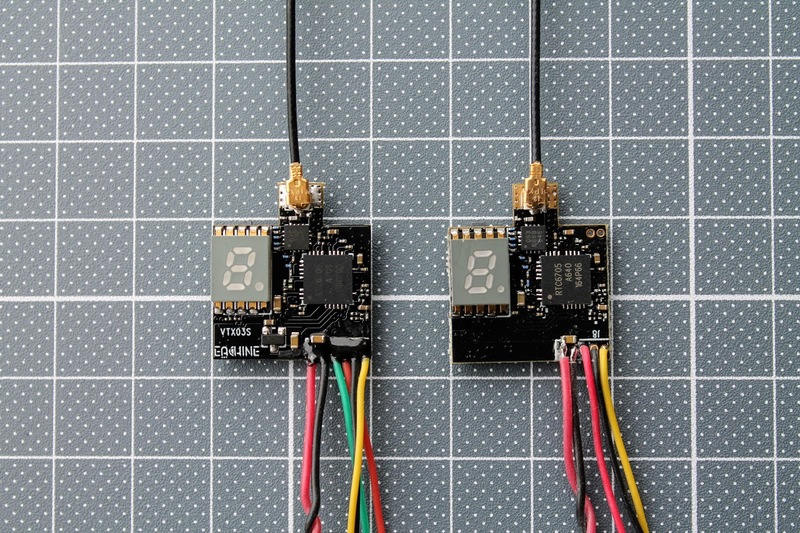 These micro tramsmitters are lightweight, small, have decent performance and are reasonably priced, however they are lacking the feature that all modern video transmitters should have – remote control via Smart Audio. 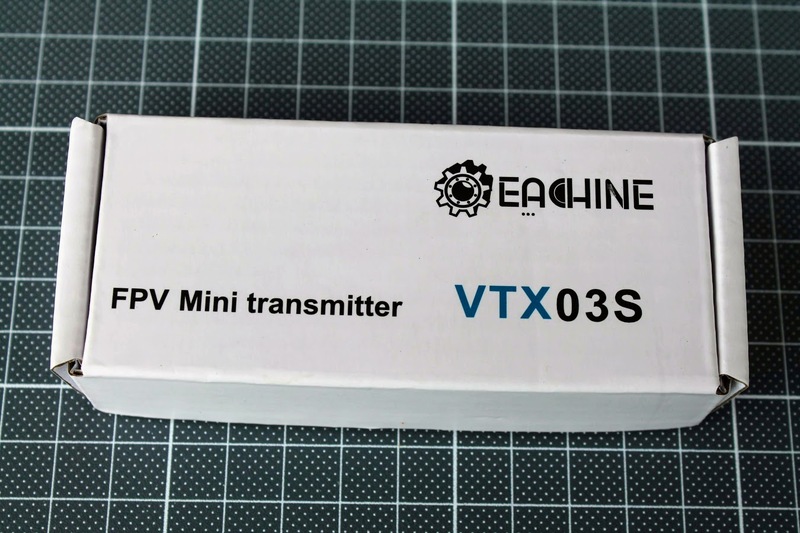 Finally, Eachine has released VTX03S video transmitter with Smart Audio support and a few more changes. 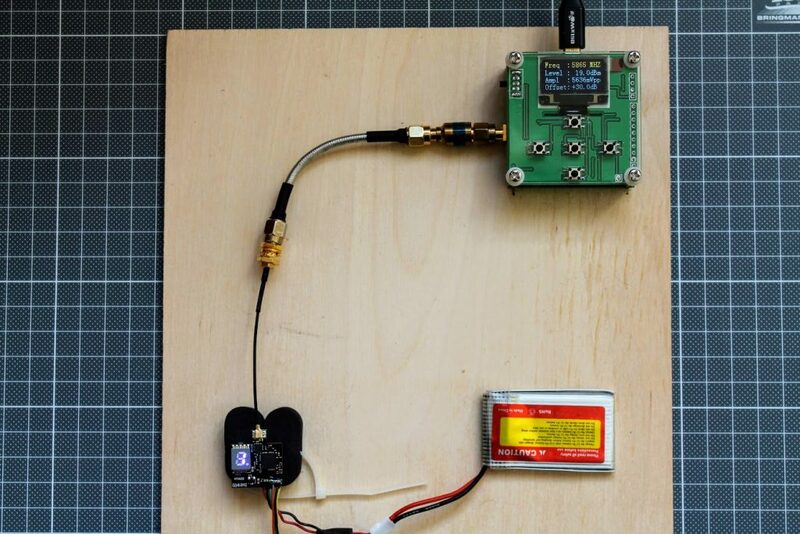 Lets take a closer look at this video transmitter. 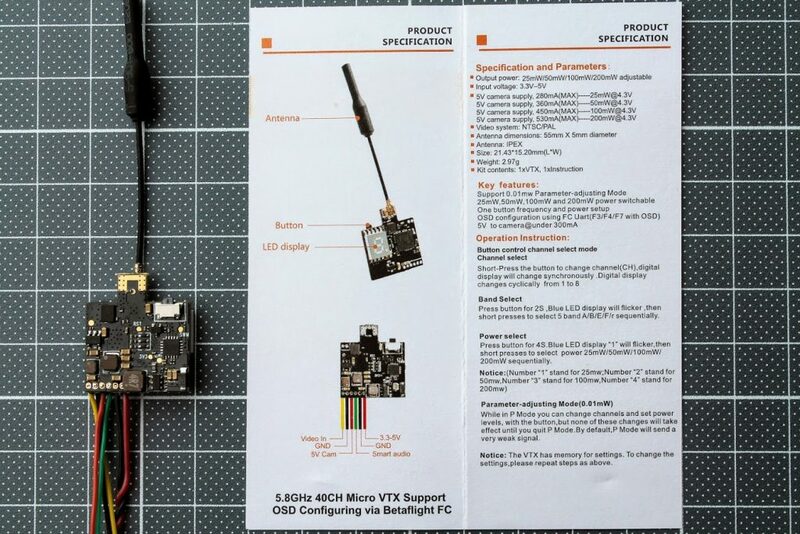 Inside the box there is only the VTX03S itself and the instructions leaflet. Closer view of the front PCB side. Closer view of the back PCB side. 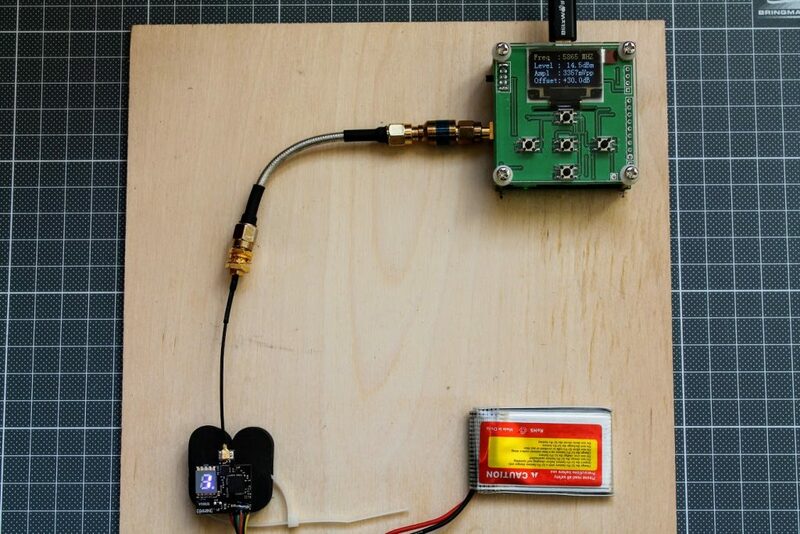 Leaflet provides basic info and the basic operation instructions for manual channel/band/power selection. Notice, that channels 4, 7 and 8 on the band E are disabled due to the FCC regulations. Also bands U, o, L and H were removed. 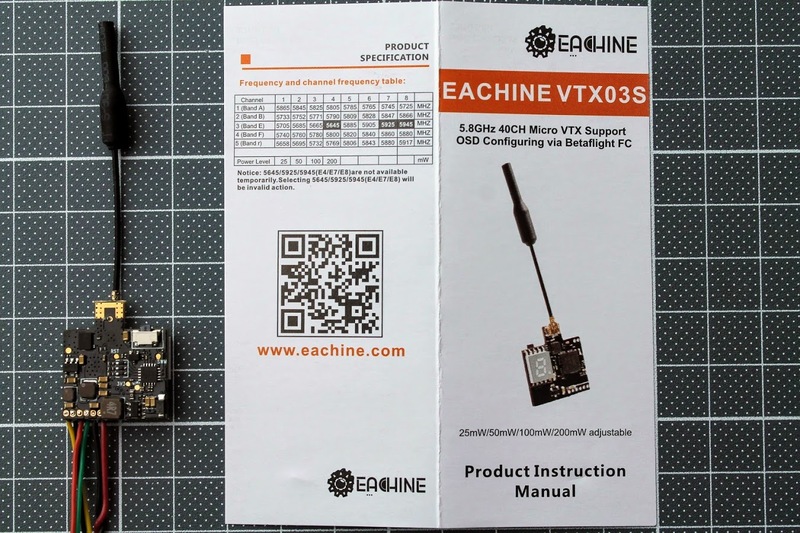 At last the Eachine has provided the right pinout diagram. It was really confusing in the case of ATX03 (read about confusion here). Just have in mind that 5VCAM mens it is 5V power output to the camera. Don’t connect it to the battery. 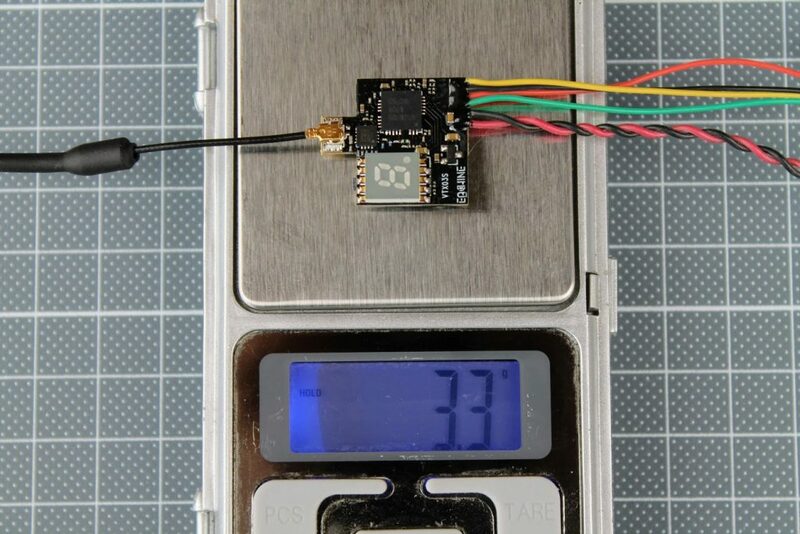 Weight of the VTX03S is 3.3 grams with wires. You can shave about 0.5 gram if you will strip the connectors and shorten the wires. 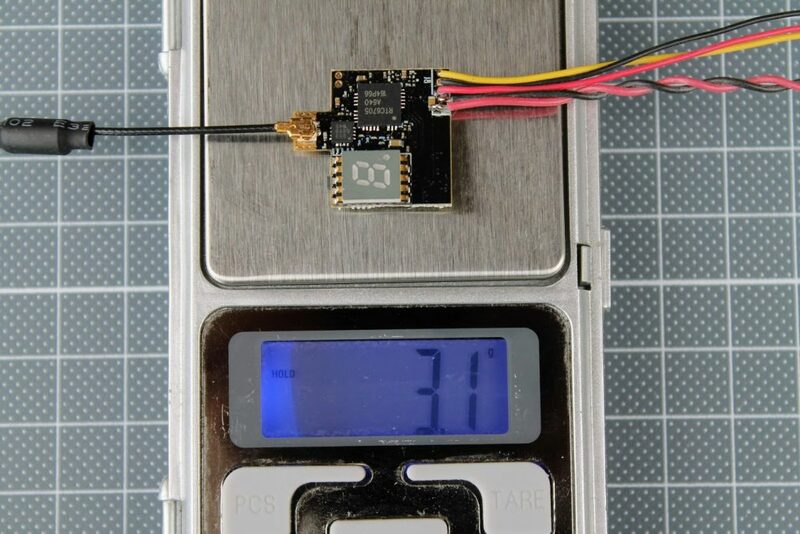 Weight of the VTX03 for comparison. 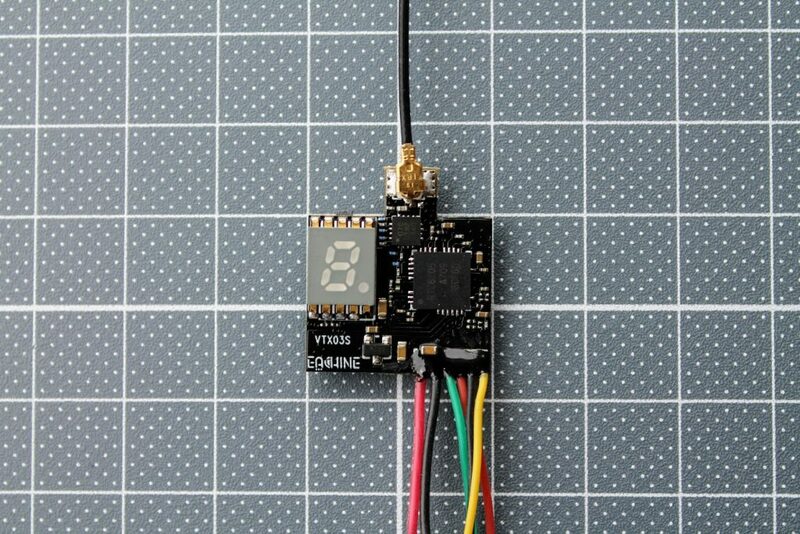 Connected the VTX03S to the RF power meter to test. VTX was cooled with fan while taking the measurements. First test: 25mW output setting. In the reality it is outputting almost 80mW (19dBm). Next step 50mW – outputs nearly 118 mW (20.7dBm). And at max setting of 200mW it outputs enormous 501 mW (27d Bm)! Tested the 25mw setting without cooling and it drops from 80mW down to 28mW (14.5 dBm) after a few minutes. The power output test results are very disappointing. 25mW power setting exceeds the declared output by 3 times, outputting almost 80mW! Eachine VTX03S is very lightweight (3.3 grams with wires) and small VTX. 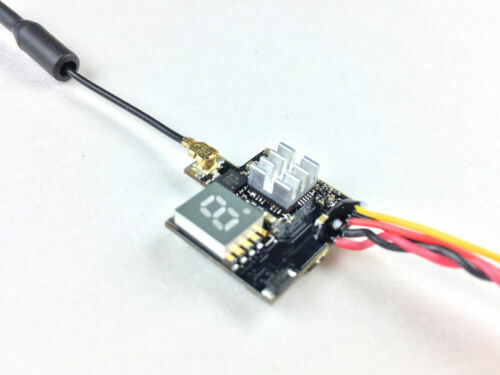 It fits into wide range of the aircrafts from the micro brushed, brushless quadcopters up to the high perfomance racing quads, where the weight is crucial. The added Smart Audio remote control feature is a must have in the modern video transmitter. VTX03S have 5 switchable output power modes – Pit/25/50/100/200mW. However we have a bad news for racers – output power is enormously boosted over the expected values. 25mW mode outputs almost 80mW, 50mW – outputs nearly 118 mW, at 200mW iy outputs enormously much – 501mW (!) 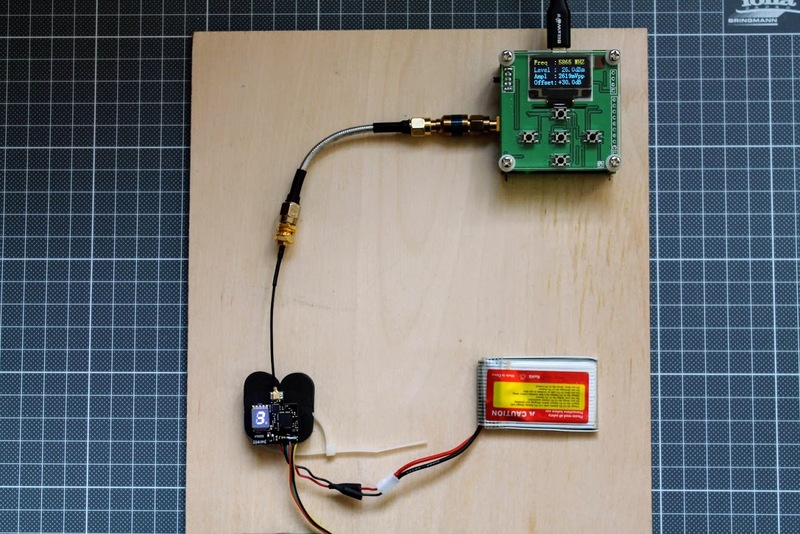 of the RF power. 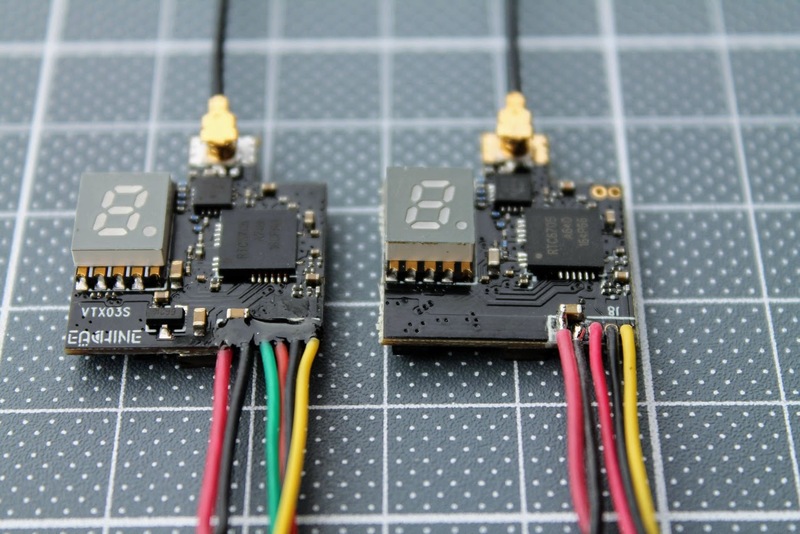 If you are flying alone, more mW probably is welcome – it will increase your flying range and will slightly improve the picture, but it also means that VTX is consumig more current and leads to the less flight time, especially on the smaller quads. On the race events you probably will be asked to turn your quad off after the VTX power measurements – you cannot exceed the 25mW requirements. I’m also missing the audio feature for this transmitter. It should be relatively easy to add the mic on the board or at least break out a pad for audio-in. Could you please tell us how you mount it in a quad? There’s no hole to be mount on a stack… Do you simply double-sided tape it? Isn’t heat an issue? I would not bother about the heat issue, unless you hide it into some enclosure where it will not have enough cooling. BTW: The front side heats more than the back side. You can even mount the heatsink if you want. 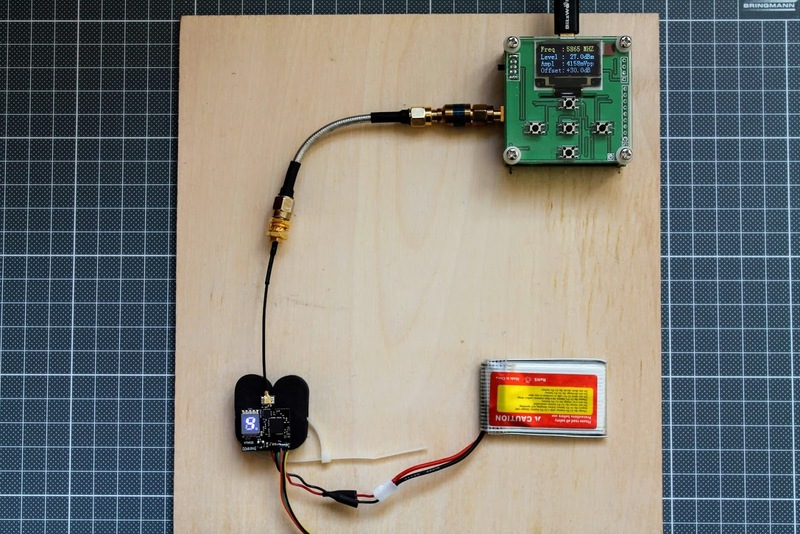 Another question : do you add a blob of hot glue to fix the antenna ? No, the antenna connector heats up and will definitelly melt the hot glue. 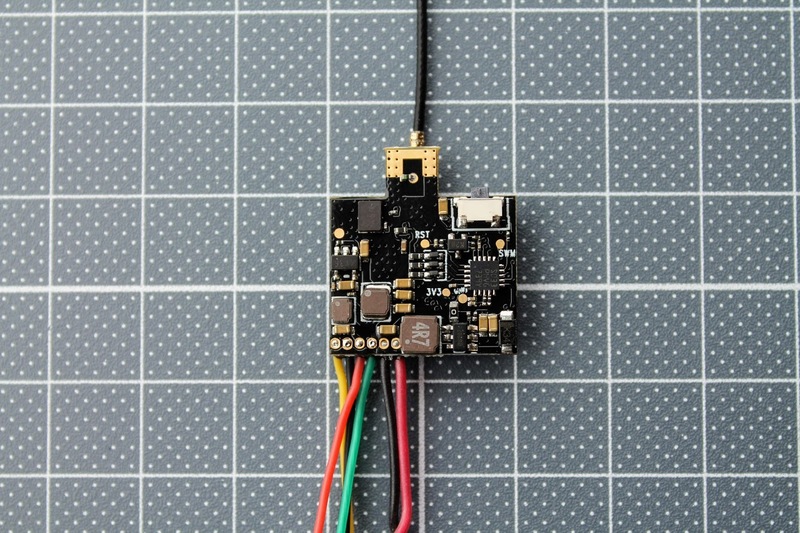 I usually add a piece of heatshrink tube on the antenna connector.